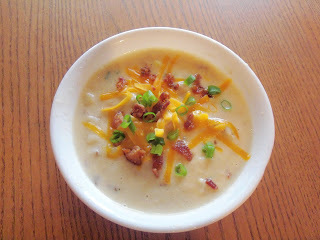 A Resourceful Home .com: Baked Potato Soup - Yum! Baked Potato Soup - Yum! We made Baked Potato Soup last night. This is a family favorite, but more labor intensive than most dinners I make. 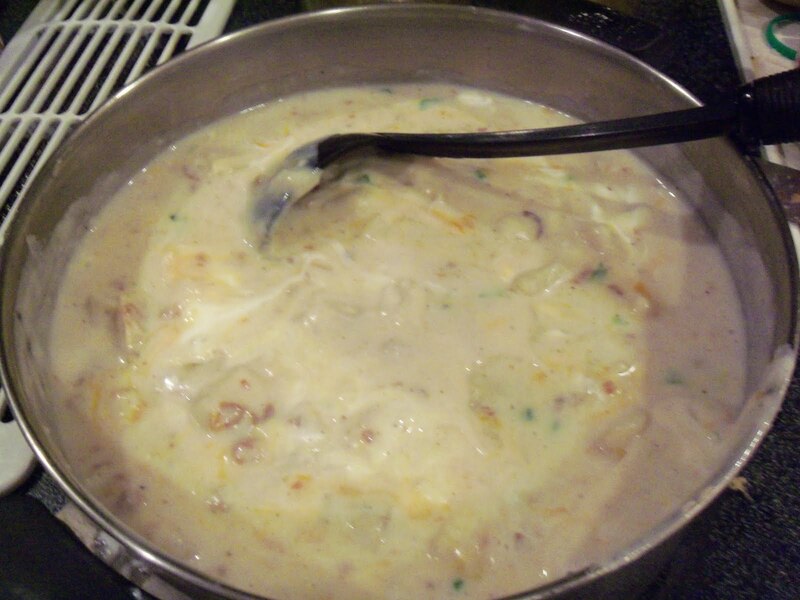 I first tasted this at a work potluck lunch about six years ago and had to have the recipe. It is supposedly a taste-alike for the Black Angus Baked Potato Soup. 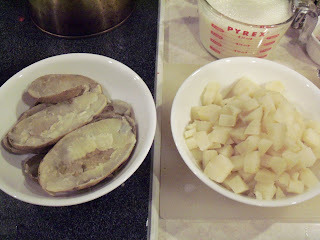 First you bake the potatoes for about an hour at 375. I don't generally have 'large' baking potatoes, just medium and small ones that come in the 10# bag, so I usually cook 6 or 8. When the potatoes have cooled, slice them in half lengthwise and scoop out the pulp. Cut the pulp into bite sized pieces. You might save the skins to use in something else. 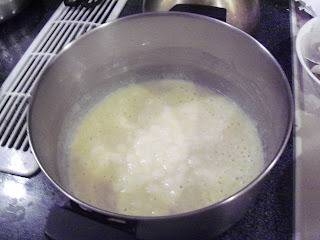 In a big pot melt butter over low heat, then add flour, stirring until smooth. When it starts to bubble, let it cook for a minute or two, stirring constantly. 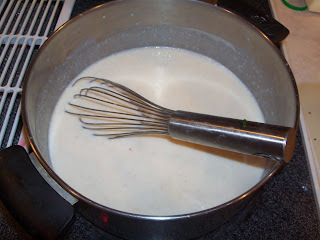 Gradually add milk, cooking at medium heat and stirring constantly until the soup thickens up. Add the potato pulp, salt, black & white peppers, and most of the green onion, cheese & bacon. Everything you've added is already cooked so you're just warming those ingredients up. When it's heated through, add the sour cream. Serve with reserved green onion, cheddar, and bacon. This is a really yummy treat we love to make for company - let me know how you like it!